Gaining experience within any career is one of the best ways to get real insight into the field and the different roles available. Within the beauty industry, it’s something you’ll need in order for your career to progress. Through this practical experience you’ll discover what it’s like to work in a salon while also making you accustomed to a range of activities you’ll be carrying out once you’ve qualified. Along with this, you will be able to gain a sense of confidence in being able to interact with different clients and also able to adapt to personalities and environments. When can I gain experience in a beauty salon? Usually, the first chance for many potential beauty students to begin work experience is during their school education. Normally in the last year of school, all students are given up to two weeks to work in local businesses, shops, hospitals or offices to sample the working world and and are given numerous tasks to complete. Their behaviour and work is monitored and feedback is given to their teachers about how they performed. For those who are older, or have left school already, experience can be gained in a different way. You might have to dedicate yourself to working weekends, or committing a day or so a week in the salon to work for free. If you’re studying for your qualifications, gaining experience will increase your chances of employment once you have finished. Why is important to gain experience? There are a number of factors of why it’s important to gain experience. Apart from seeing the real working day of a beauty therapist, you will also learn new skills, knowledge and learn how to treat customers. Today, there are many beauty students who qualify with NVQs in beauty. Make sure your CV stands out amongst the others by showing commitment to gaining your own experience. In some cases, if your time in a salon makes a good enough impression on the staff there, they might offer you a job there whilst you are studying. This way you’ll be able to learn on the job and still be educating yourself whilst gaining qualifications that are essential for your career. It’s also the best opportunity to make sure that this career choice is what you’re passionate about and that it’s the right career choice for you. We’ve recently teamed up with local beauty salon, So Coco Rouge, to find out more about how their head of make-up, Eve, gained a job as a result of work experience. “At 14, Eve enrolled onto one of our 1 day make-up workshops, which was our initial introduction. Her mature, polite and enthusiasm made her very memorable and we knew she would go far. “Eve then rang us personally and asked to pop in for a chat about where her chosen career could take her. Having the confidence and maturity to call a prospective employer, rather than rely on parents or teachers to take this approach on your behalf, makes a huge difference to employers. “This approach led to us offering her work experience in the salon, on TV/Film productions and fashion shoots. Paid, permanent employment followed and six years later, Eve is now one of our head artists, working between our salon, weddings and on numerous exciting projects. “Our best advice to a beauty student, is to use your initiative and visit salons in person. If this is not possible, research the business you would like to work in and gain as much knowledge about them as possible. Phone the salon and ask for the manager, by name, and explain why you would love to work with them. Having the confidence to do so, and showing how enthusiast you are about the beauty industry will make the world of difference. Where can I gain experience? A number of beauty industries offer experience to potential beauty students to join their team and learn under their guidance. Some of the key places include local salons, spas, hairdressers, make-up stores and even beauty schools might be able to provide you with contacts where you can gain experience in. What tasks will I carry out during experience? If you’re gaining experience, chances are you won’t be qualified yet and will not be able to carry out treatments or procedures for clients. However, you will be a great help to staff around the salon as your role will be making sure everything in the salon continues to run smoothly. Some of the main tasks you might find yourself involved in include booking appointments, greeting clients, tidying and cleaning work areas, checking stock levels, preparing stock for therapists, recording client details, using the till and dealing with money, helping clients, sorting out gowns and towels before and after treatments, observing therapists and making tea or coffee for clients…well, we all have to start somewhere! What skills should I have to be a beauty therapist? If you’re willing to find your own experience already shows the salon owner that you’re committed to beginning your career and that you have a positive can-do attitude. Make sure that you appear genuinely interested in being within the company and that are willing to learn about the company and the services they offer for clients. Present yourself in a positive light and always be a team player. Make sure you can help out with any activities that you can while you’re working there as you want to make sure you get the most out of it. Also, as the role is very much based on word of mouth, it’s vital that you keep clients and contacts close to you. Building relationships with them is one of the main parts of the job and it’s vital that you make a good impression so they remember you. In terms of presenting yourself, make sure you always look smart and professional by making an effort with your appearance. How do I contact salons for experience? When you are looking to outreach to salons to query about experience that they offer, there are a few ways you can do this. Firstly, it’s important to make sure you that you’ve got an updated version of your CV- just in case they ask for it. You could pop in to a local salon, drop them an email or give them a ring. Prepare for questions that they might ask you like why you think gaining experience with them will help you in your career and how you’ll fit in there. Give them an outline of your career plan so they can see the potential in you and how you will help within the salon. It’s common for certain salons to not offer work experience to students, but don’t be put off by this, simply continue your search into another salon. During peak times, such as Christmas, there’ll be an increase in customers looking for treatments. It could be a good to apply around this period as that’s when owners wouldn’t mind a helping hand with their services. Make sure you check back next week to discover our next blog post which will be looking at the best places for you to study Beauty. 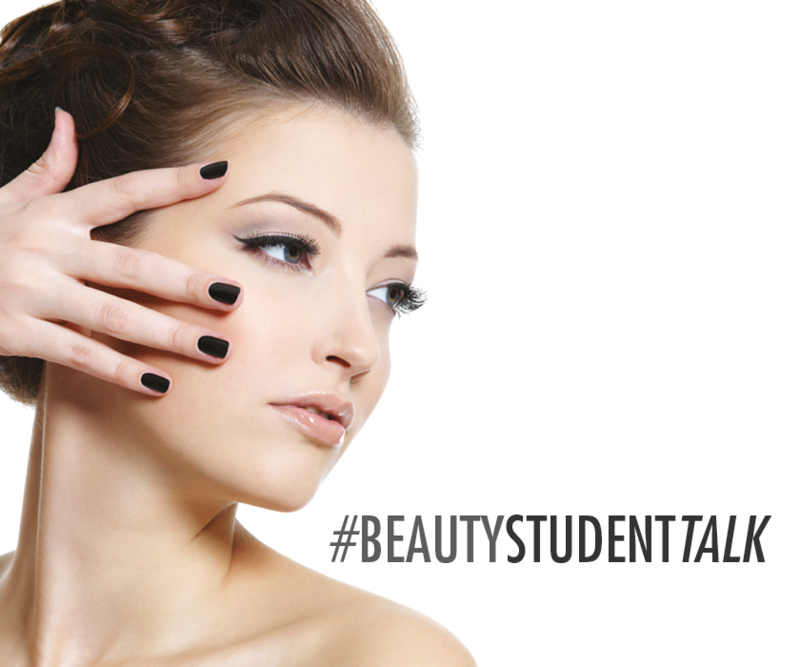 Head over to our Facebook and Twitter page now for our #BeautyStudentTalk hashtag for useful hints and tips for those budding beauty therapists.